Victorian Planning Minister Richard Wynne has signalled the approval of the Dundonell wind farm in the minister’s assessment report–the final stage in the environmental effects statement process. 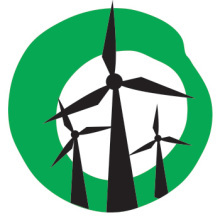 “Action by the Andrews government has breathed new life into Victoria’s wind energy sector after a four year hiatus under the previous government,” says Leigh Ewbank, Friends of the Earth renewable energy spokesperson. “Approval of the Dundonell wind farm will be welcome news for south west Victoria. It will create jobs and investment in regional communities,” said Ewbank. Yes 2 Renewables welcome the progress towards approving the 104-turbine wind farm and say it signals the Andrews government is gearing up for setting ambitious Victorian Renewable Energy Targets. “The likely go ahead for the Dundonnell wind farm shows the Andrews government is gearing up to set Victorian Renewable Energy Targets above their baseline target of 20 percent by 2020,” said Leigh Ewbank. The Andrews government will release its Renewable Energy Action Plan in the first half of the year. The plan will set Victorian Renewable Energy Targets for 2020 and 2025. Yes 2 Renewables has led the campaign for a Victorian Renewable Energy Target. A growing coalition of businesses, unions, community and environment groups now support an ambitious renewable energy plan from the Andrews government.